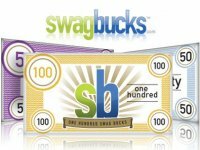 Hurry and head over to Swagbucks before their deal expires. From now until 3:00 p.m. EST, you can get 2 Free Swagbucks with this Code: HandsomeDude. Remember, this will only last until 3 p.m. EST today (September 18th).